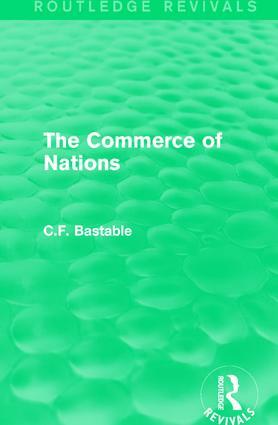 First published in 1929, this book was written to express the belief that nations’ commercial policy and doctrines could best be explained by reference to their history. The author argues that this applies equally to legislation and theory, for example both the McKinley Act of 1890 and contemporaneous protectionism are examined as the culmination of a century’s worth of legislative and theoretical progress. This edition is also updated from the original 1891 publication to take account of the effect of the First World War on the European and American tariff systems, and also how the preferential system of trade within the British Empire recast relations between Britain and its dominions.